Vitil consultants have experience in many industries including mining, steel, education and training, earth moving, aviation, financial and pharmaceutical. Based in Perth and Melbourne, they offer expertise in human resources management, emotional intelligence, performance management training, job profiling, psychometrics, recognition and non-financial rewards. 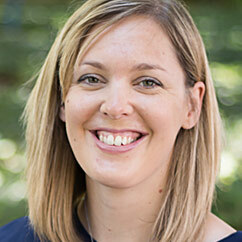 Caroline is a HR professional with 14 years' experience gained across a number of different industries including publishing, sales, customer service, retail, finance, mining, community services and IT, both in Australia and the United Kingdom. 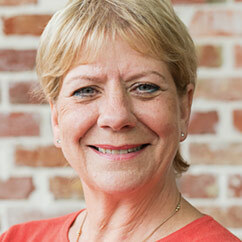 Caroline has experience of working in large corporate environments as well as small and medium sized organisations. 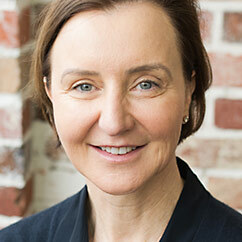 Caroline is a Certified Member of the Australian Human Resources Institute and a Chartered Member of the Chartered Institute of Personnel & Development in the UK. 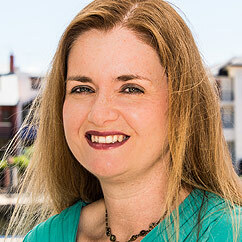 Starting her career over 20 years ago in retail with managing her own store and team, Heidi completed her management study to move into a training and development role within the Wesfarmers corporation and then moved into a HR generalist role. Heidi has also worked with a variety of companies on a HR advisory level. Heidi currently is also on the board of two organisations in a voluntary capacity. Her speciality is researching, writing, implementing and rolling out new processes and training programs. A Senior Human Resource professional with over 10 years' experience, Pip has worked across many sectors including utilities, FMCG, oil and gas. In her last role, Pip lead all HR activities for offshore personnel with performance reviews, remuneration strategy, development and implementation, salary assessments and workforce planning, all key elements of her position. Pip also managed internal audits, high risk employee relations cases, investigations and worked as part of a team on Enterprise Bargaining Agreement negotiations. Her analysis and systematic approach to managing rem and benefits policies, coupled with her adept people management skills, ensures Pip can not only work at a strategic level but also operationally. 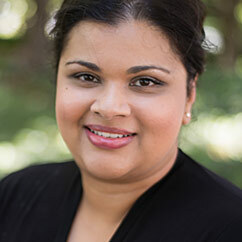 Charlene, an experienced industrial relations lawyer with 13 years' experience in the field of human resources and employee relations, has worked in many sectors including private and public; state and federal. A senior HR professional, Charlene has negotiated industrial relations agreements, partnered with executive teams to build human resource capabilities whilst driving strategic change, as well as improving the workforce culture, efficiencies and reducing workplace incidences and claims. An accomplished HR allrounder with a broad skill set as well as a certified health and safety representative, Charlene is adept at utilising her extensive knowledge to find innovative solutions to resolve complex matters. Her strong capability in leading and developing productive working relationships with a wide range of stakeholders both internal and external, has seen her develop and implement many change initiatives successfully. Andy has worked alongside many small to medium businesses throughout this time, helping them to achieve their financial goals. Andy has also been involved with the not-for-profit sector for more than 20 years. Andy has a passion for creating awareness of social issues in her community, and is actively involved with local animal rescue groups and children's charities. Principal consultant and business owner, Vanessa Wilson has over 20 years' experience in leadership roles, working within the financial and retail sectors. Her career started in large organisations in Perth and after studying at Curtin Centre for Entrepreneurship, she found herself sharing her big business experience with SMEs to help them grow and develop their businesses, which had a core people focus. This included formalising and implementing the vision, articulating the brand, developing core team values and embedding a strong culture. Majoring in human resource management and marketing – and completing the Curtin Growth Program – Vanessa's knowledge, practical experience and genuine desire to add value, ensures operational needs and targets are met. Jacqui is a highly experienced HR professional who has held senior and strategic roles over her 20 year career. She has outstanding interpersonal skills with a proven capability to deal with a diverse range of internal and external stakeholders, with consideration and sensitivity. Jacqui's broad range of skills in both large and medium sized companies, includes implementing employee benefits programs, indigenous employment planning, proactive recruitment processes, and instigating workplace health and safety programs. Jacqui is also adept at succession planning and talent mapping, training and development, and coaching teams and senior managers. Dawn is a strong HR generalist whose experience covers engineering, healthcare, hospitality and retail operations. She has a wealth of experience in the public, private and not for profit sectors, with a proven track record in providing strategic HR management at the highest level. Dawn focusses on building strong, sustainable working relationships with managing teams in large and small enterprises. A wealth of experience in both managing direct staff and guiding managers in using various performance management systems to set KPI's and reviewing performance, Dawn ensures teams are engaged, motivated and in turn, maximum efficiency within the workforce is achieved. The WA AIDS Council, established in 1985, leads the Western Australian community in the provision of a wide range of services in the prevention of HIV, and the treatment and care of people living with HIV/AIDS. Vitil Human Resources is proud to support the WA Aids Council by offering our professional services to their team of employees and volunteers, in matters relating to their HR and Management needs. The Cancer Council Western Australia is the leading cancer charity in WA and has a proud history of advocacy and action on cancer issues. Vitil Human Resources works as part of their Workplace Advisory Program offering our professional services to those needing advice when returning to the workforce. The Curtin Centre for Entrepreneurship has focused on training established SMEs since its foundation in 1995. 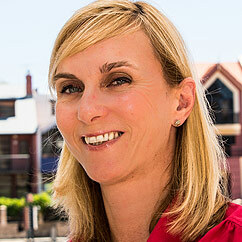 Through solid dedication and extensive knowledge, the centre has gained a unique reputation in Australasia for helping businesses thrive and the WA Government's Small Business Development Corporation has selected the centre as its sole recommended education partner for SMEs. 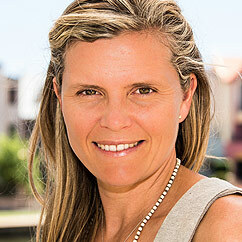 Vitil principle consultant and business owner, Vanessa Wilson, undertook the Curtin Growth Program in 2007 and has been a strong advocate – and now mentor on the program – ever since.